Workplace employment issues are a popular source of lawsuits against businesses. There are many types of lawsuits that fall under this category. Employers can face discrimination and harassment lawsuits from employees claiming that they were discriminated against on the basis of age, race, gender, religion, or other factors, or that they suffered other kinds of workplace abuse such as intimidation, bullying, or violence. Businesses can also be sued for wrongful termination. This can often be related to or the byproduct of a poorly planned HR process and a lack of proper documentation. Wrongful termination suits can mean big bucks if your company isn’t prepared. 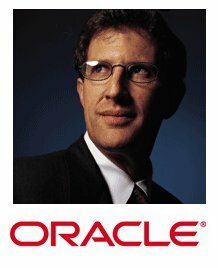 In one of the more famous examples, Oracle exec Gary Bloom fired Excecutive VP Sandy Baratta which eventually led to a 2.6 million dollar verdict in Baratta’s favor. Baratta had questioned where the software giant Oracle had gathered some trade secrets that she suspected were lifted from a competitor. While it’s rare a small business will have an issue as serious as this wrongful termination suits are skyrocketing as more and more employees are fighting potential layoffs or firings tooth and nail. Wage Related Claims, Discrimination or Harassment. Employers are also often sued regarding wage issues. Many of these suits involve claims that businesses are not complying with or have violated state or federal wage laws. For example, a business can be sued for withholding wages or overtime pay that is due or for paying less than minimum wage. These aren’t always case filed by employees themselves, either. Some of them are brought against businesses by government agencies such as the Department of Labor, which can have a lot of clout behind them. This type of lawsuit is brought against businesses who use other individuals’ or companies’ patents, trademarks, logos, proprietary information, or other protected data without permission or license. You can always consult with an attorney if you are unsure whether a rule, procedure, or course of action is appropriate. It can help avoid lawsuits and save money in the long run. A recent example of litigation in this practice area is by far the computer giant Apple Inc. Famous for aggressively pursuing patent and copyright infringement, Apple is currently embroiled in a case against Samsung Electronics over the rights to search technology that Apple currently uses in it’s popular iPhone feature Siri. At this point Apple secured a $1.05 billion verdict in California courts, but Judge Lucy Koh rejected a request for a permanent sales ban against certain Samsung phone models. A ruling is not expected until September 2013 at the earliest. Businesses are also frequently sued by individuals or other businesses for not fulfilling their end of a contract – regardless of how valid these claims are. Valid contracts are binding, and if a business cannot or will not perform what the terms of the contract require it can be sued on the contract. Sometimes the lawsuit will ask the court to order the business to do what it agreed to do in the contract. This is known as specific performance. In other cases, the person bringing the lawsuit will sue for damages, asking the court to award her as much money as she would have made in profit had the obligations in the contract been fully performed. Businesses are often sued for harm that their employees or products negligently cause to an individual’s person or property. If a product that a business manufactures or sells causes an injury to an individual, the individual may bring a products liability lawsuit. If someone is injured by an employee business or while on the business’s premises, they may bring a personal injury lawsuit. Businesses can also be sued for damage done to someone’s property. To win this type of case, the plaintiff must prove that the business was negligent – that is, that it did not exercise reasonable care while performing the activity that caused the harm. Contact the commercial litigation attorneys at Berkowitz Klein LLP. Our attorneys have been representing business owners in corporate, commercial litigation, and commercial collection matters in Chester County, PA for over 30 years. You can contact Gerald Berkowitz by phone at (610) 889-3200 or by email at gsb@berklein.com. This entry was posted in Blog Posts on February 11, 2013 by Gerald S. Berkowitz.